The Mukwonago community has a tradition of support and interest in reading and library services. Our library had its beginning in 1883 when interested residents started a “Library and Reading Room” in the Unitarian and Universalist Church. The club periodically purchased a book, then assigned it to a member for reading and subsequent reviewing at a future club meeting. Books accumulated and a room in the church became Mukwonago’s first library. The Library and Reading group later disbanded but was reformed in 1903 as the Utopian Circle. The library moved to the north wing of the “red brick house” (now the Mukwonago Museum) in 1917. In 1921 the library moved to the Village Hall and into two jail cells. Mrs. Jessie McKenzie and Miss Leona Lotz were the librarians. In 1933 the village took over support of the library. The jail cells housed the library for 40 years. In 1961 Floyd McKenzie, president of Citizens Bank, and his wife, Jessie, purchased a house next to the Village Hall on Grand Avenue to be used as the public library. In 1964 the library became known as the Floyd and Jessie McKenzie Public Library. Mrs. McKenzie continued as librarian until her death in 1971. In 1992 two fulltime librarians were employed, and the original collection of 120 books had grown to 12,000. 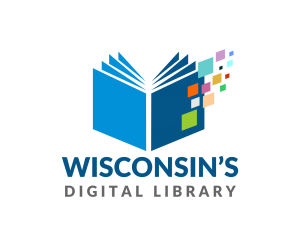 The library joined the Waukesha County Federated Library System to provide additional services. Currently there is a staff of 16 full and part-time employees, and the number of volumes and patrons continues to grow.